You've been asking for it and it's finally here! 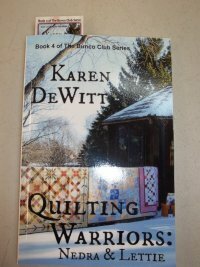 The 4th book in Karen DeWitt's Bunco Club Series is in the store. We can't wait to begin reading it! Her books are definitely "sneaker" books. What is a "sneaker" book? It is a book that you are reading when you are supposed to be cleaning and you "sneak" into your chair to read another chapter! Stop in and get your copy today! magazine. It is Spring, Vol. 3-Issue 2! 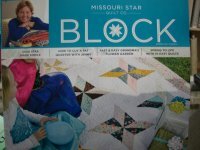 Magazine features are Ohio Star made simple, How to Cut a Fat Quarter, Fast & Easy Grandma's Flower Garden and as always, there are 10 projects for only $5.99. Pick up your copy soon! Our summer hours begin on Monday, May 2! Here they are!! !